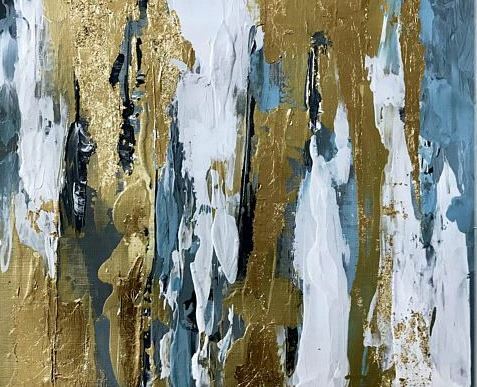 Learn how to create unique textured abstract gold leaf art. In this workshop we will use palette knives, acrylic paint, and modelling paste to create unique abstract canvas art. This is a free flowing abstract art workshop that will allow you to create artwork that is not confined to a specific form.